Lea Michele arrives at the Premiere Of Warner Bros. Pictures' 'A Star Is Born' at The Shrine Auditorium on September 24, 2018 in Los Angeles, California. 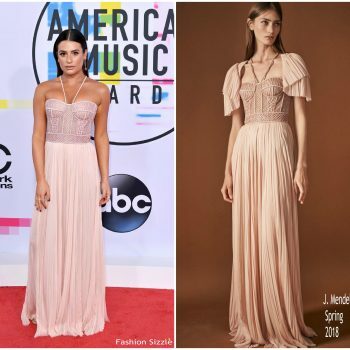 She wore a Temperley London Resort 2019 dress. 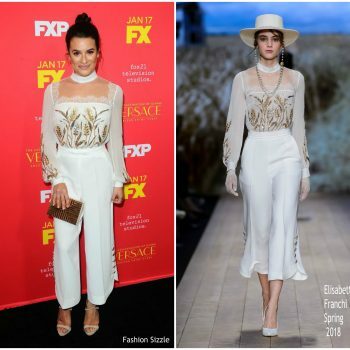 Lea Michele was in attnedance at the Women In Film's 2018 Female Oscar Nominees Celebration She wore a pair of white Styland trousers styled with a blue top. 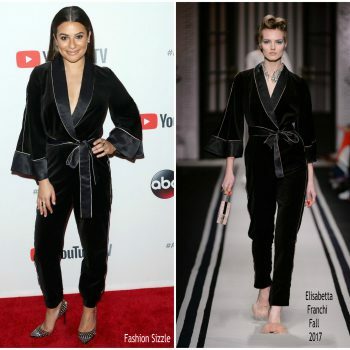 Lea Michele was in attendance at Delta Air Lines to celebrate GRAMMY weekend held at The Bowery Hotel on Thursday (January 25) in New York City. 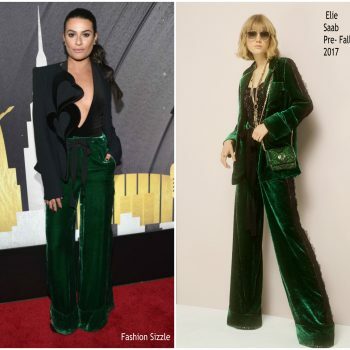 She wore a Elie Saab’s Pre-Fall 2017 design. 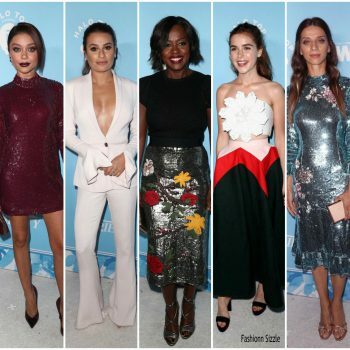 Lea Michele was in attendance at the HFPA and Instyle Celebration of the 2018 Golden Globe Awards event on Wednesday (November 15) in West Hollywood, California. 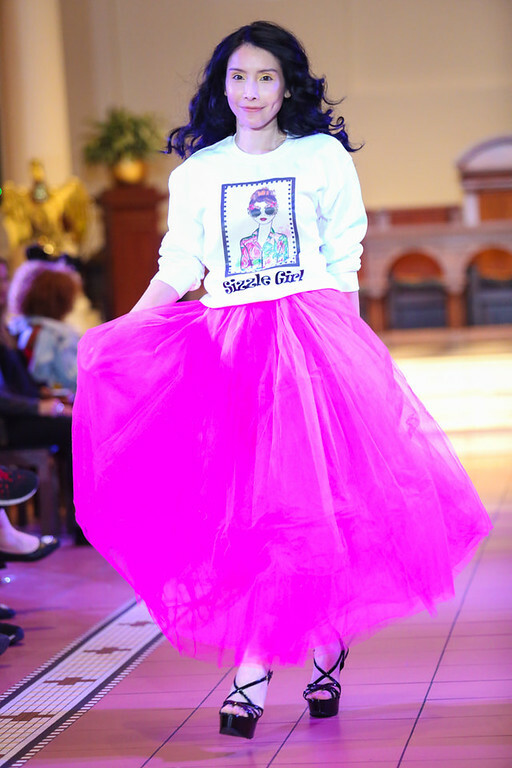 She wore a black Yanina Couture Fall 2017 dress. Lea Michele was in attendance at ABC’s ‘The Mayor’ screening on Wednesday (September 27) in West Hollywood. 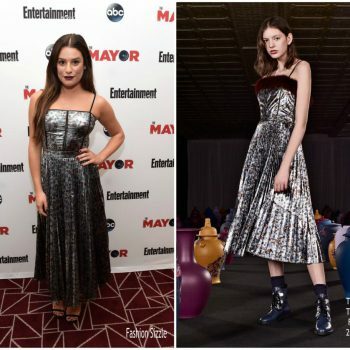 She wore a silver Tanya Taylor Fall 2017 dress. 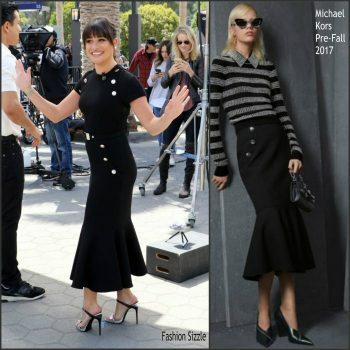 Lea Michele was in attendance at the 2017 Emmys on Sunday (September 17) in LA. She wore a burgundy Elie Saab Fall 2017 embroidered burgundy gown. 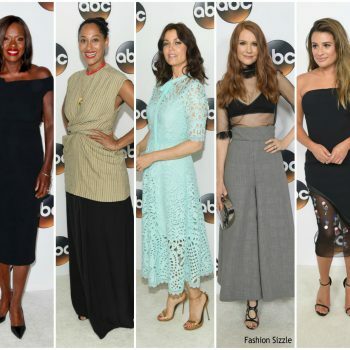 Lea Michele attended the 2017 ABC Upfront on Tuesday (May 16) in New York City. 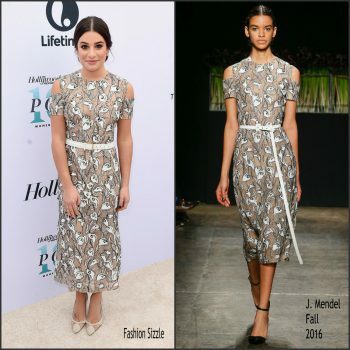 She wore a J. Mendel dress styled with Loriblu heels , Jennifer Meyer jewelry. On April 22 ,2017 Lea Michele stopped by Sunday Brunch, in London. 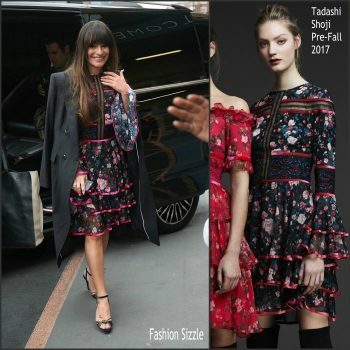 She is wearing a Tadashi Shoji Pre-Fall 2017 dress. 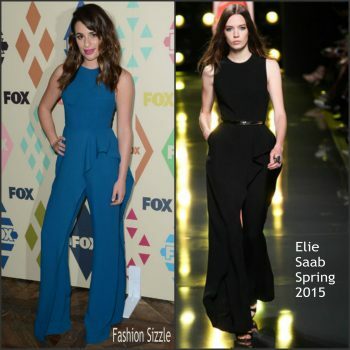 Lea Michele made an appearance on The Ellen DeGeneres Show on Thursday (March 16). 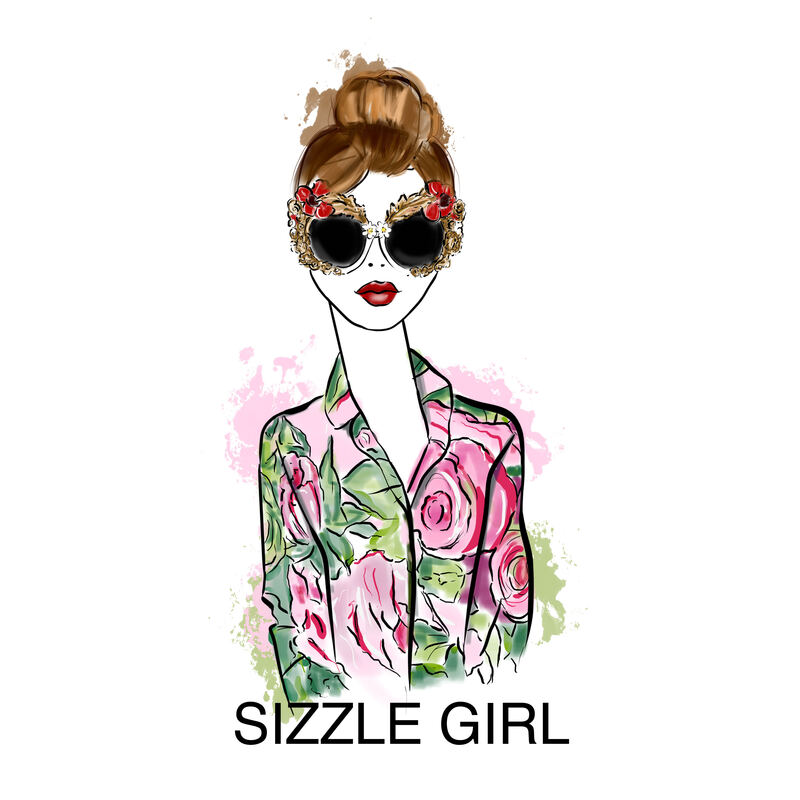 She wore a Saloni Spring 2017 floral-print dress. 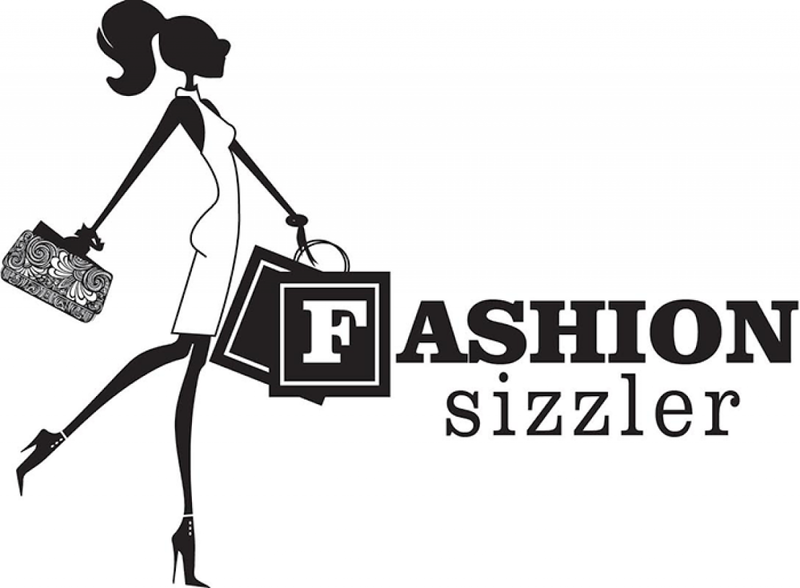 Lea Michele She wore a black embellished J.Mendel dress that has a front-side high slit. 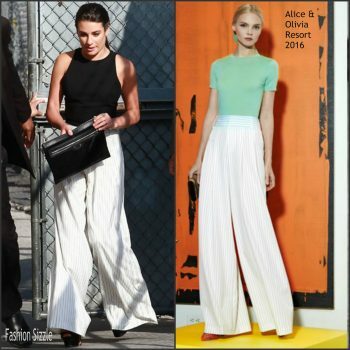 Her look was completed with black heels.
. She wore a Designers Remix Pre-Fall 2017 "Evie" dress. Lea Michele attended The Hollywood Reporter’s 25th Annual Women In Entertainment Breakfast at Milk Studios onDecember 7th, 2016 in Hollywood, California. 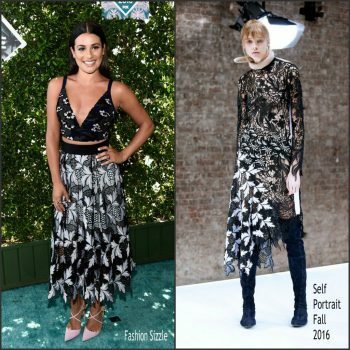 She wore a J .Mendel Fall 2016 embroidered cutout midi dress. Lea Michele attended The Grove Christmas with Seth MacFarlane held at The Grove on Sunday (November 13) in Los Angeles. She wore a black and gold LelaRose Resort 2017 confetti dress. 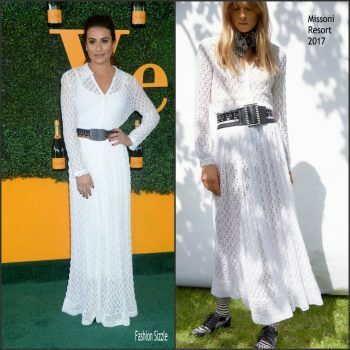 Actress Lea Michele attended the Seventh Annual Veuve Clicquot Polo Classic, Los Angeles at Will Rogers State Historic Park on October 15, 2016 in Pacific Palisades, California. Lea Michele attended the 2016 Fox Summer TCA Party at Soho House in West Hollywood, California on August 9 , 2016. Lea Michele attended the 2016 Teen Choice Awards held at The Forum on Sunday (July 31) in Inglewood, California. Lea Michele attends Michele Watches And Lea Michele Host Leading Lady Event on June 3, 2016 in Las Vegas, Nevada. Lea Michele attends the Television Academy 70th Anniversary Celebration, in Los Angeles, California, on June 2, 2016. 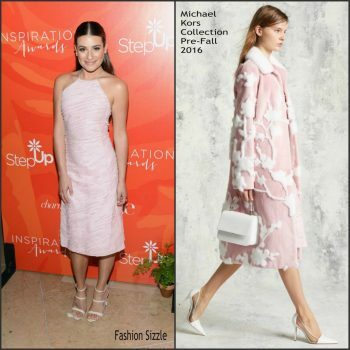 Lea Michele was in attendance at the Step Up’s 13th Annual Inspiration Awards on Friday, May 20, 2016, in Beverly Hills, CA. 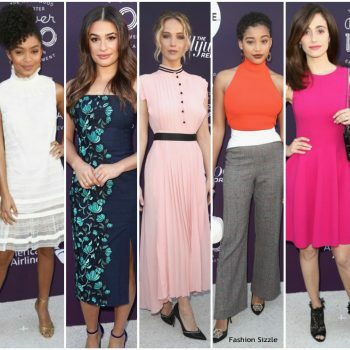 Celebs were in attendance at the Glamour's Game Changers Lunch which honored Zendaya Coleman. The event was held at Jessica's Biel's Au Fudge restaurant in West Hollywood, CA . 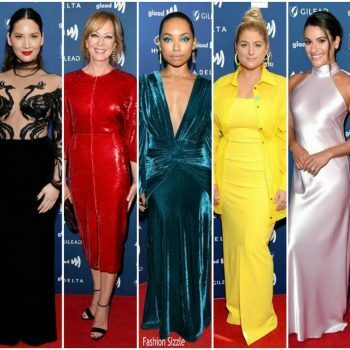 Lea Michele attended the 27th Annual GLAAD Media Awards at the Beverly Hilton Hotel on April 2, 2016 in Beverly Hills,California.